Tamil Nadu is a wonderful south Indian state, which is dotted with innumerable tourist attractions, including pristine beaches and magnificent ancient temples. Covering a span of 14 days, Complete Tamil Nadu Tour by Heritage Hotel of India is a tastefully-crafted itinerary that takes you to some of the most popular destinations of Tamil Nadu. The cities that you visit during the tour include Chennai, Kanchipuram, Mahabalipuram, Pondicherry, Thanjavur, Trichy, Madurai, Rameshwaram and Madurai. 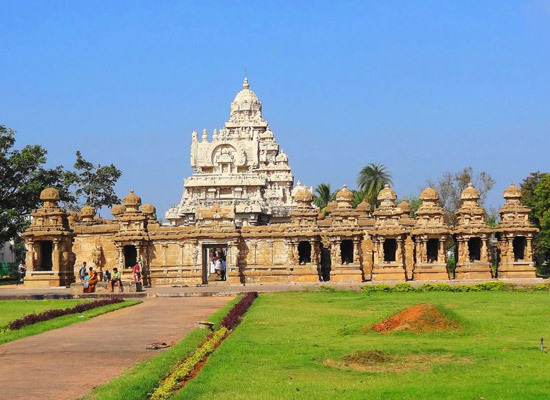 Some of the highlights of this package are world heritage site of Brihadeeswarar Temple, the very popular Meenakshi Amman temple, the peaceful Aurbindo Ashram, and the grand structures at Mahabalipuram. On reaching Chennai, meet our tour representative who helps you with an assisted transfer to the hotel. Complete the check-in formalities. If you want, you can explore this wonderful place on your own. Day 2 is scheduled for a city tour of Chennai, which is also known as the 'Gateway of South'. The attractions that you explore today include the Theosophical Society- a vehicle-free retreat with a Buddhist shrine, Hindu temple, church, mosque and Zoroastrian temple; Sri Parthasarathy Temple- an 8th century temple that is dedicated to Lord Krishna; Kalakshetra- an arts and cultural academy; the St. Mary's Church- India's oldest Anglican church; Kapaleeswarar Temple- a temple of Lord Shiva, San Thomas Cathedral Basilica- built in the 16th century by Portuguese explorers; Mylapore- a cultural hub, and Fort St. George- India's first English fortress. The evening is free for leisure activities. In the morning, start your road journey for Kanchipuram. The capital of the Chola dynasty during the 2nd century, it is also referred to as one of the 7 sacred cities of Hinduism. Today, it is known to be housing a number of knowledge-imparting places for Hinduism, Buddhism, and Jainism. Some of the places worth-visiting here are Kamakshi Amman temple, Ekambareswarar temple etc. Do not forget to visit the silk weavers here who have been residing in the city from past four centuries. Later on, proceed to Mahabalipuram. On reaching, check into the hotel. 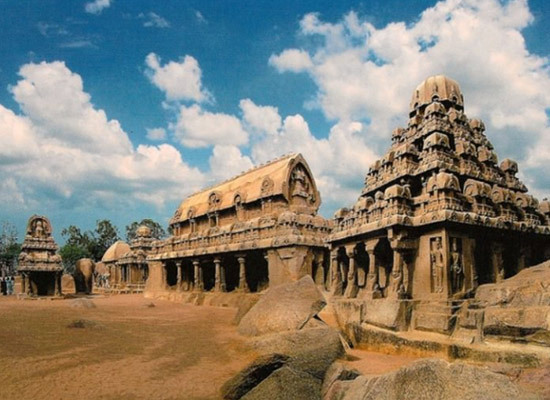 Today, get ready for city tour of Mahabalipuram or Mamallapuram, the ancient port of the Pallava rulers. They constructed a number of architectural gems during their reign. Enjoy a visit to one of such attraction-Krishna Mandapam, dedicated to Lord Krishna. It is the largest cave-cut Hindu temple in the world. Several figures of Lord Krishna, birds, humans and demi-gods adorn the temple's walls. Later on, head to the 8th century Shore temple, a fine specimen of Dravidian style of architecture. Lastly, you visit Panch Rathas or the Five Chariots, also known as Paandava Rathas. It is a collection of five monolithic temples wherein each has a different architecture. On the 5th day, get transferred to Pondicherry, by road. 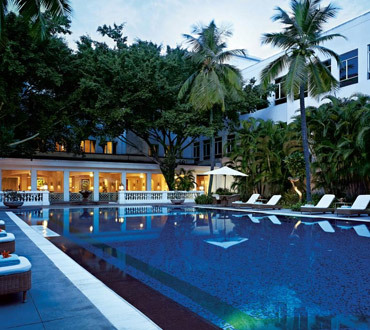 On arrival in Pondicherry or Puducherry, check-in at the hotel. The remaining day is at leisure. You can indulge in activities of your interest or can explore the place on your own, savor local delights, visit the local markets, interact with the locals and so on. The day is scheduled for sightseeing in Pondicherry. The attractions that you visit today include the Basilica of Sacred Heart Church- a wonderful piece of Gothic style of architecture, and the Rai Niwas- the official residence of the Lieutenant Governor of Pondicherry. The last visit of the day is to the Sri Aurobindo Ashram- founded in 1926 by Sri Aurobindo. This Ashram is a kind of spiritual community, which is visited by a huge number of followers and devotees all year round. The road journey to Tanjore begins today. On the way, visit the quaint town of Tamil Nadu- Chidambram. This town is known as the seat Lord Nataraja, the Cosmic Dancer. 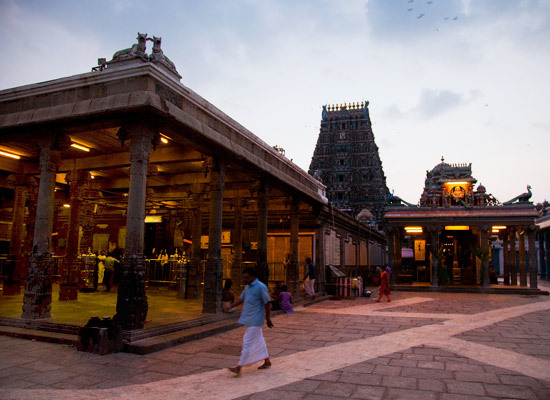 Head to the Chidambram temple, also known as Thillai Nataraja temple. 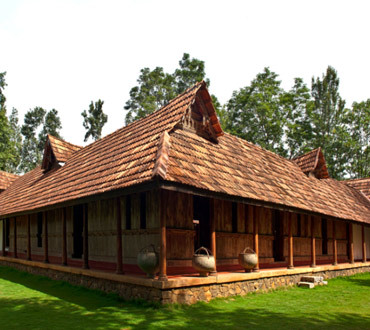 Covering an area of around 40 acres, it comprises of 5 sabhas. Later, continue towards Tanjore. Upon arrival, check into the hotel. Freshen-up and get ready for sightseeing including the UNESCO World Heritage Site of Brihadeeswarar Temple, which is dedicated to Lord Shiva. 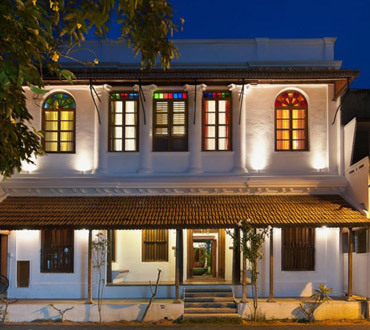 Saraswathi Mahal Library and the Art Gallery are the other sites that you visit today. On day 8, get transferred Trichy or Tiruchirappali. On arrival, check-in at the hotel. The rest of the day is at leisure. Partake in interesting activities such as relishing the local food, interacting with the locals, visiting the local markets and so on. Explore the place on your own. The city is dotted with a number of temples and other tourist attractions. This day is scheduled for visiting the prime attractions of Trichy. First of all you visit Srirangam, around 5 km from the main city. Here visit the Sri Ranganathaswami temple, dedicated to Lord Vishnu. The temple complex is one of the largest temple complexes in India. Next in line is the Tiruchirapalli Rock Fort, positioned on the banks of the River Kaveri. On day 10, start your road journey for Madurai, known as the Athens of the East. Upon reaching, check-into the hotel. The rest of the day is free for leisure activities. Today you can explore the place on your own. This ancient, colorful city on the banks of River Vaigai, Madurai is an ideal place for those who like experiencing and exploring the country's old rich heritage. It is known to be around 2500 years old. In the morning, get ready for a city tour of Madurai. Visit the marvelous Meenakshi-Sundareswarar Temple, also known as Meenakshi Amman Temple. The temple has 14 gopurams and looks stunning with splendid carvings. The temple is dedicated to Goddess Parvati, the consort of Lord Shiva, who is known as Meenakshi here and Lord Shiva, who is known as Sundareswarar. Pay your homage. The afternoon is at leisure, and you can explore the surroundings. The evening is scheduled for attending the grand prayer ceremony at the Meenakshi Temple. Embark on a day-trip to Rameshwaram. 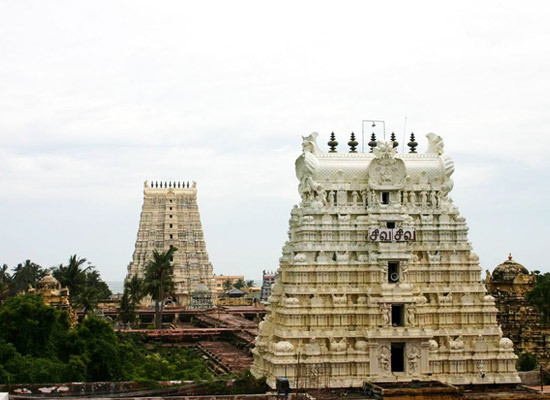 Once you reach, head to the highly revered Rameshwaram temple for darshan. According to legends, the temple and the island have been named after Lord Rama. It is said that this was the site where Lord Rama had worshipped Lord Shiva for penance, once he was back from Lanka after killing Ravana. In the evening, back to Madurai. On the morning of day 13, get transferred to the railway station for going on-board a train to Chennai. On arrival, get transferred to the hotel. The rest of the day is free. You can either relax in your rooms and enjoy hotel facilities or explore the place on your own.